WHY CHOOSE ASSIMILATE FOR YOUR RECRUITMENT NEEDS? Assimilate Ltd has been providing recruitment services for clients and candidates in the Scientific, Environmental and Engineering industries for twelve years. Assimilate Ltd works with a select client base to ensure our high levels of service are never compromised. Whether you are seeking a new senior executive or a junior team member, Assimilate offers a highly personalised service, ensuring that any placements made are wholly in keeping with your requirements for the future development of your business. 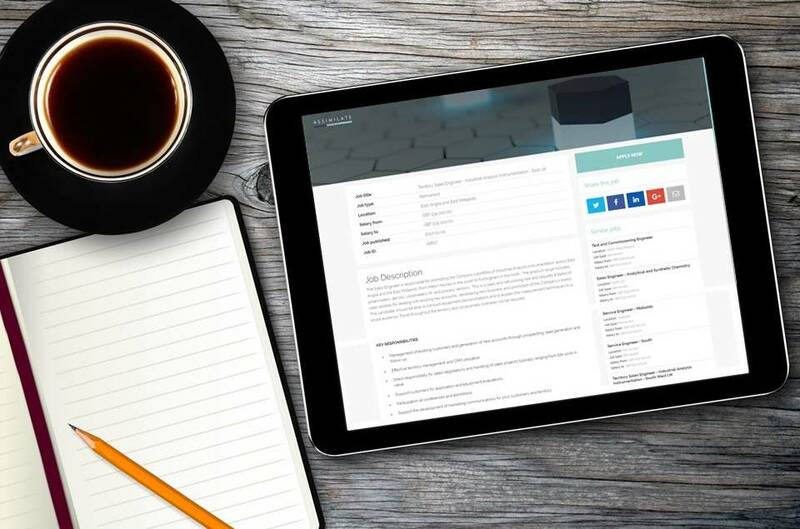 Assimilate utilises its own scientific, environmental and engineering background to thoroughly research your company and requirements, prior to embarking on a recruitment campaign – this will ensure the right candidates are sought and presented to you for consideration. We carry out a comprehensive assessment of the candidate’s CV and a 20-point telephone interview with them, prior to presenting you, the client, with the CV and a full, post-screening report. This comprehensive selection procedure ensures the candidate’s skills, experience and circumstances meets the specified requirements of your vacancy, prior to your interview process. The protection of the data of our clients has always been of great importance to us. We are fully compliant with the General Data Protection Regulations (“GDPR”). View our ‘Privacy Notice‘ for more information.